Home / Student Questions / What are the key differences between MLA and APA format? The main differences between these popular citation formats include in-text citations (MLA requires the author’s last name and the page number while APA requires the author’s last name and year separated by a comma); the title for the source page (MLA calls it “Works Cited” and APA calls it “References”) and how authors’ names are expressed (MLA uses entire names while APA uses last name and initials). In addition, the placement of the date in the source page is different (MLA places the date after the publisher’s name and APA places it immediately after the author’s name and is placed in parentheses). A handy tip for helping you remember how to cite in each format is to make a sample of each citation style, tape it to an index card and then tape the card to the top of your computer monitor for easy reference until you become proficient (then pass them along to a friend). You can also find sample papers in MLA and APA with example citations here. Although most educators are dead-set against using Wikipedia as a source, it’s a good place to start when you’re writing an outline for an essay on global warming or any other unfamiliar topic. Take a look at how Wikipedia organizes the information on global warming and select those sections that you feel are most relevant for your specific topic (i.e., causes of global warming, responses to global warming, effects of global warming, etc.). After this review, you can begin writing your outline following a logical sequence such as first presenting an overview of the topic, the reasons why people should be concerned and the discussing what is being done about it. 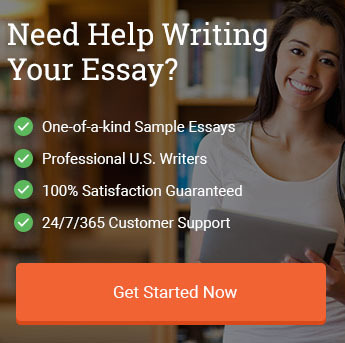 There are a number of other valuable resources for developing an outline for a global warming essay as well, and Questia offers a free writing center that can show you how to write a good outline. Likewise, Google Scholar provides numerous scholarly articles and books on global warming that can provide additional information for writing your essay. "What are the key differences between MLA and APA format?." Aceyourpaper.com. Student Network Resources Inc, 3 February. 2017. Web. 19 April 2019. Student Network Resources Inc. "What are the key differences between MLA and APA format?." Aceyourpaper.com. https://www.aceyourpaper.com/student-questions/what-are-the-key-differences-between-mla-and-apa-format/ (accessed April 19, 2019).